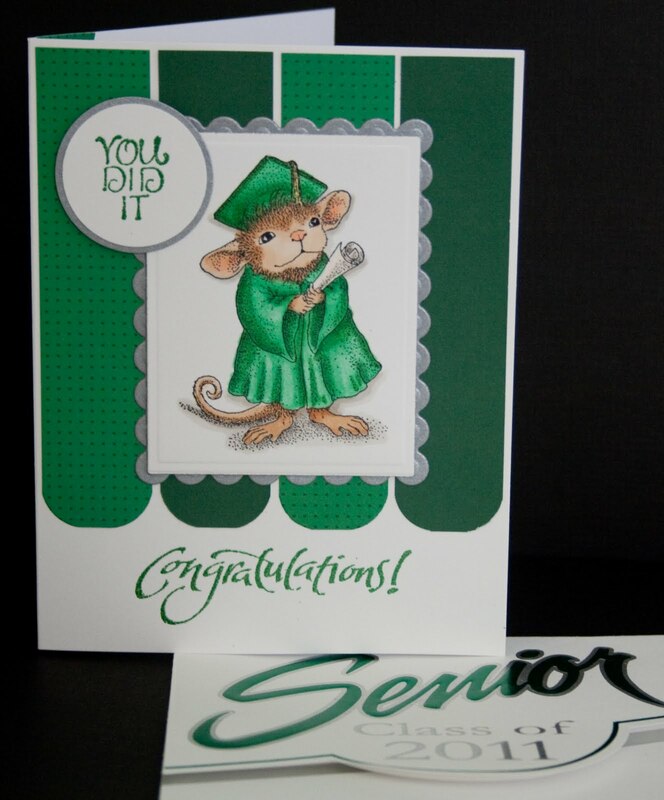 I had one more graduation card to make this year, this one is for another niece graduating High School. I now it late, but I've had the colored image of the House Mouse on my desk for about a week. I just couldn't bring it together until now. I like to make the cards with their school colors, then I saw the Mojo Sketch last week and knew that was what I wanted to do...I love the strips of color in the background. I colored with Copics, and the sentiments are from Sparkle N Sprinkle and embossed with Christmas Green EP, it's a Cosmic EP, so looks just like the announce that I received from my niece. 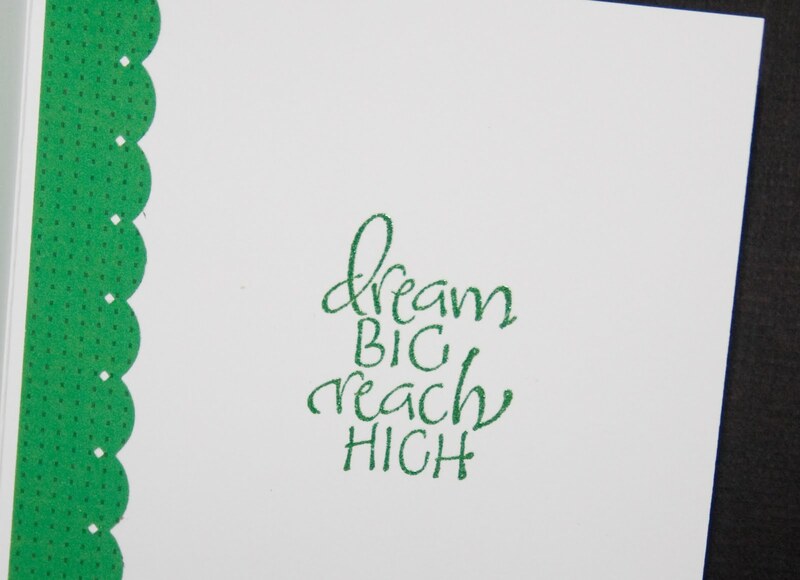 Thanks for looking...and have a great stamping day!